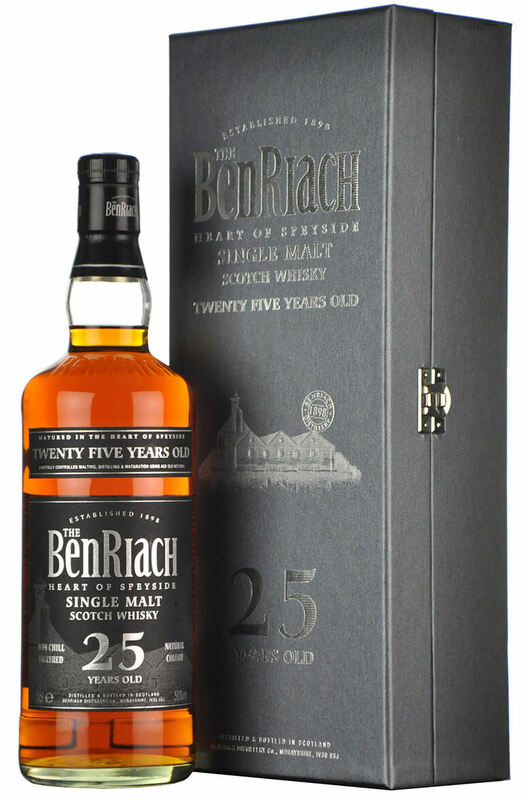 This is the new benchmark expression of Benriach 25 Year Old. Aged in a perfect mix of ex-Sherry, Bourbon and Virgin oak barrels and bottled without chill filtration or colouring. Nose Rich honey, spices, apples and peat, in combination with superb oak-wood notes. Palate A rich cocktail of honey, Oloroso sherry, cocoa and apples, supported by a fascinating presence of citrus, sweet peat and wonderful wood notes. Types of Barrel used for Aging Aged in ex-Bourbon, Sherry and Virgin Oak barrels.